This database has been developed from the Joint Historical-Archaeological Survey (JHAS) project and allows you to browse or search over 2000 archaeological records from the Gallipoli Penninsula. Click an example below, or choose Search or Browse. Artefact no. 141. Metal container - pannikin found in a dugout/rest area. Half-circle or D-shaped. Has eyes on either side (possibly for thin strap); four hinged eyelets equally spaced around (two on sides are vertical and ones on front and back are horizontal). Artefact no. 178. 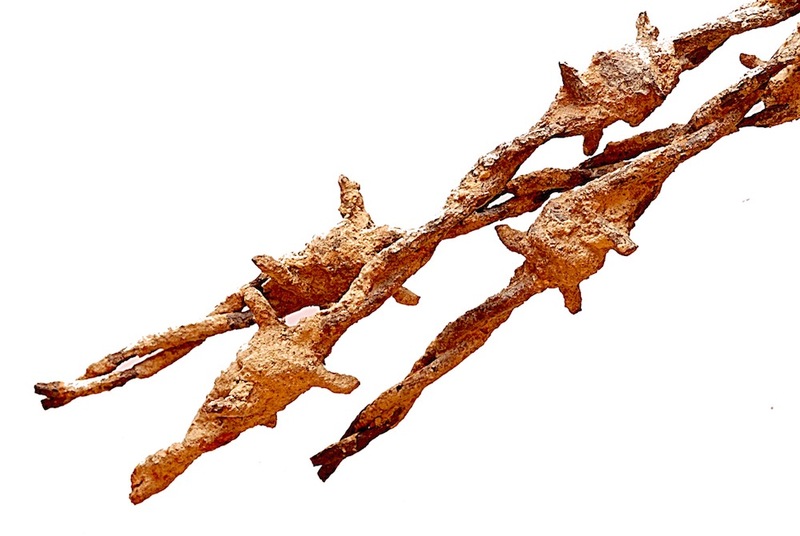 Two pieces of barbed wire, originally one (broke apart after removal). Could have been swept down the watercourse from above. First section has three intertwined strands and second section has two. Double helix strand intertwined type. 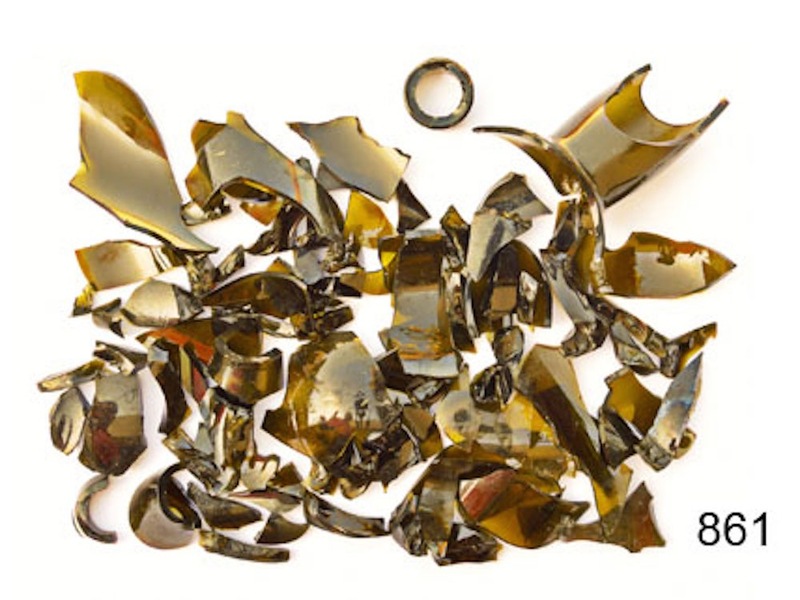 Glass sherds x 95 from a single bottle. Dark green, clear glass with no opalisation and very clean breaks. The fragments vary in thickness. The bottle neck and rim shards are more intact than the body and base sherds. The neck was bulged or bulbous and the body was a cylinder style. A liquor or alcohol bottle typical of UK styles. 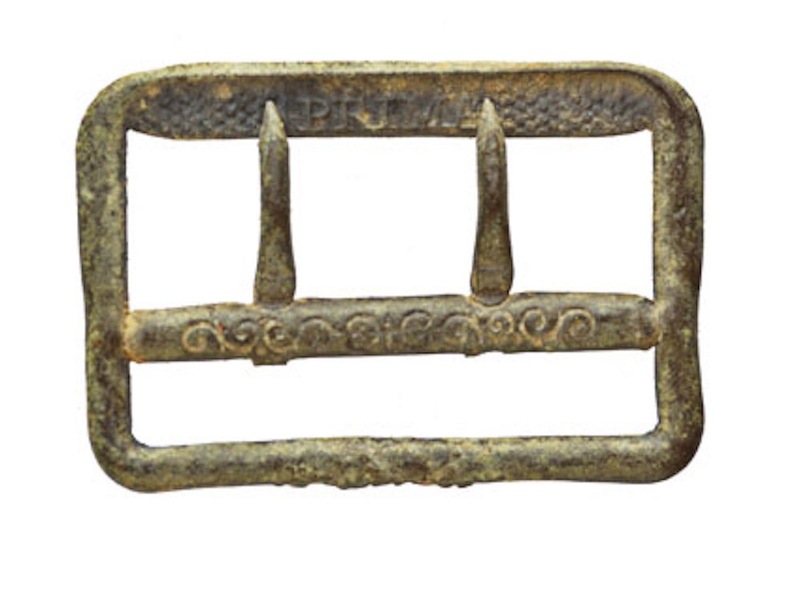 Belt buckle. Bronze. Black oxidation. Some blue staining or colouring on one area. Has moulded writing: "PRIMA" (Latin alphabet). Repeating guilloche pattern evident on the central arm. Metal support inset 1.5cm into rectangular structure. The primary data available here was documented by the Joint Historical-Archaeological Survey (JHAS) project. The JHAS project has used archaeological techniques to document the remains of the well preserved World War I battlefield at Gallipoli, a century after the conflict. Thousands of features and artefacts were documented during 2010 – 2014 field seasons and information about each one is available here. A map showing the areas surveyed by JHAS can be found here. During the project, information was collated and managed in a Geographic Information System (GIS) and research database which includes searchable attributes about each feature and artefact. A searchable catalogue of this information is made available here. The purpose of this website is to make the JHAS primary data available to other researchers and the general public as a web-based, digital archive. In addition, it forms a complementary resource for the book Anzac Battlefield: A Gallipoli Landscape of War and Memory. 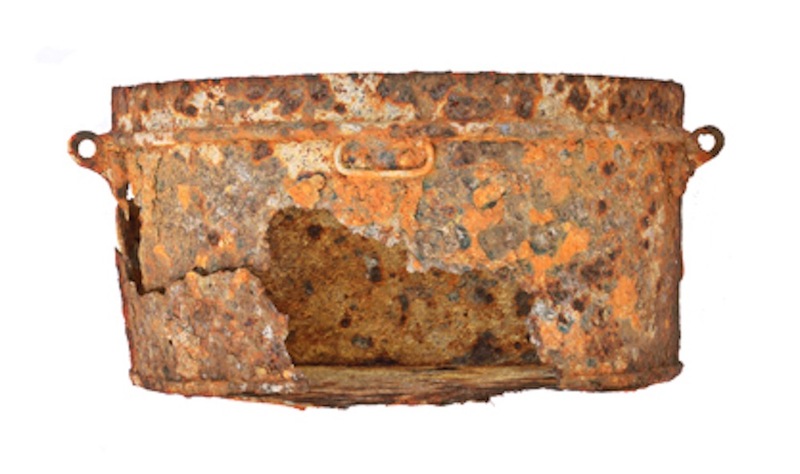 The AGAD is unique in its presentation of material culture from World War 1 from well documented archaeological contexts in one of the best-preserved modern battlefields. The value of this archive lies in its presentation of primary information about the types of features and artefacts that comprise the battlefield as well as information about their archaeological contexts, thereby enabling features and artefacts to be studied in association. This website is dedicated to the late Antonio Sagona, without whose dedication, professionalism, energy and expertise, it would not have been possible. All of the JHAS team has very fond memories of Tony leading the way on the ridges and the valleys of Gallipoli. It is also dedicated to all those who lost their lives in service at Gallipoli. JHAS team members for their help in collecting and collating the original data: Chris Mackie, Ian McGibbon, Richard Reid, Mithat Atabay, Muhammet Erat, Reyhan Körpe, Ersümer Karanfil, Yağmur Arslan, Gürsel Akıngüç, İrem Aydilek and Murat Ufuk Kara. Members of the University of Melbourne, Cultural Collections and Digital Scholarship, who supported and worked on the AGAD: Leo Konstantelos, Anna Shadbolt and Geoff Laurenson. Helen Thompson of the University Copyright Office, University of Melbourne for advice on copyright and licencing. Many thanks also go to Rebecca Fleming and Tim Evans of the Department of Veterans' Affairs, Canberra, for their assistance and support with the implementation of the AGAD project. Almost every photograph included in the AGAD is the work of Professor Antonio Sagona. The JHAS project was sponsored by the Australian Government, Department of Veterans’ Affairs, Canberra. The JHAS project was supported by the Onsekiz Mart Universitesi, Canakkale, Turkey, the Turkish Ministries of Culture and Tourism; Foreign Affairs, and Environments and Forestry; and the New Zealand Ministry for Culture and Heritage. This website and digital archive has been designed and hosted by the University of Melbourne, Classics and Archaeology at the School of Historical and Philosophical Studies and Digital Scholarship.